Hunstanton, the big, brash seaside resort, hugs the coast for a few miles, the only westwards facing resort on the entire English east coast, if you exclude the villages that straggle to the south of it. Until the 19th century, the town did not exist; it was the creation of the Le Strange family of Hunstanton Hall. They laid out the streets, built the houses and shops, and landscaped the coast in the hope and expectation that people would come; and they did come, in their thousands, making the Le Strange family an unfeasibly large fortune. 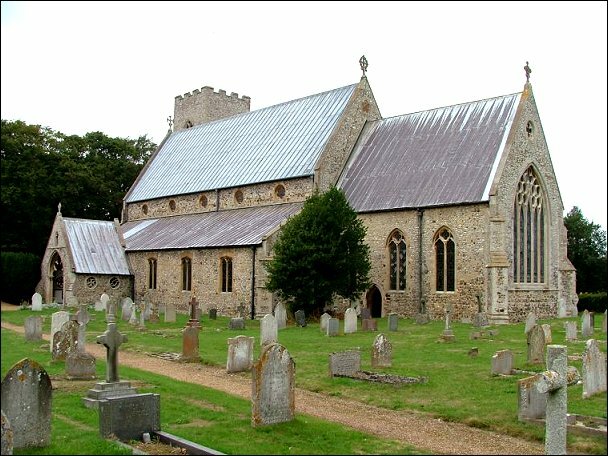 There was always a village of Hunstanton, to the north of the present town, and inevitably this became known as Old Hunstanton. 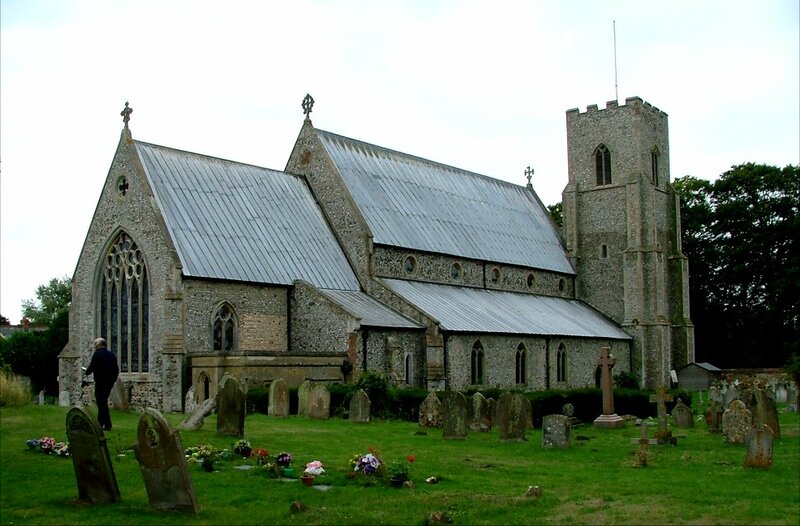 It is dominated by the park of Hunstanton Hall, and in the grounds of the hall is quite one of the biggest churches in this part of Norfolk, the original Hunstanton parish church of St Mary. 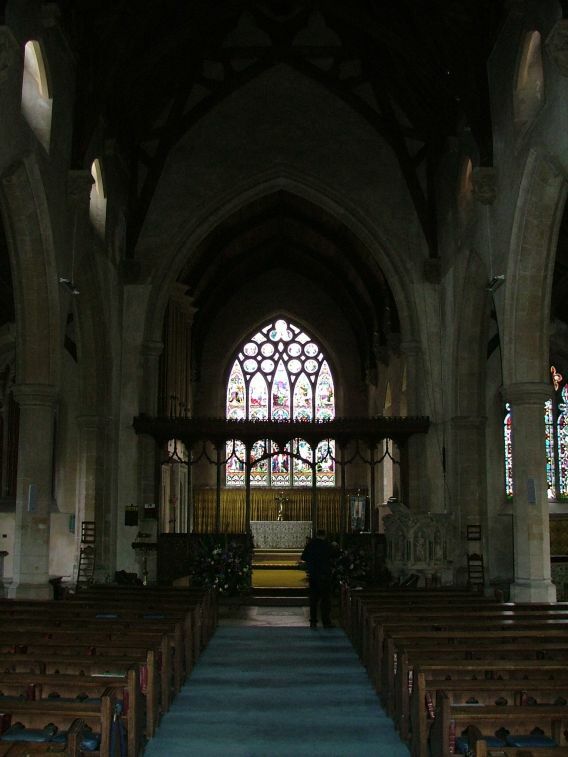 Frederick Preedy built a chapel of ease to this church down in the new town, and St Edmund today serves the population there as a parish church in its own right. 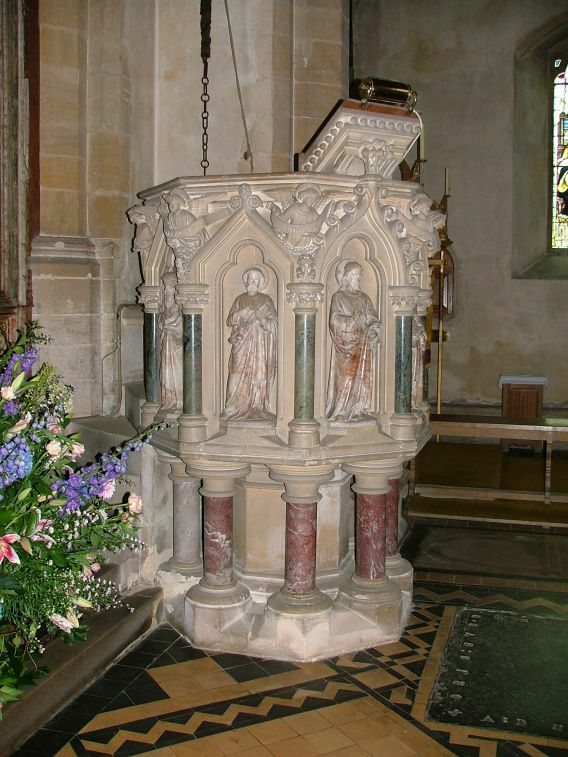 But inevitably, St Mary feels like the mother church, and this a sense which is accentuated by its sheer grandeur and delicious Victorianisation. 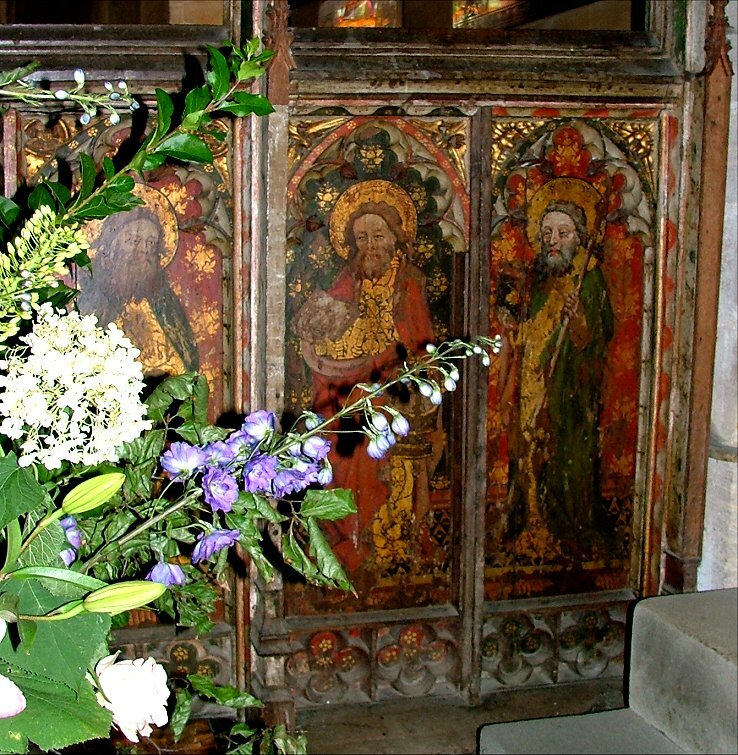 Preedy was Henry Le Strange's cousin, and so not unreasonably he was brought in to do the massive restoration of St Mary. Almost everything you see is of the 19th century, although internally the arcades survive from the earlier church. 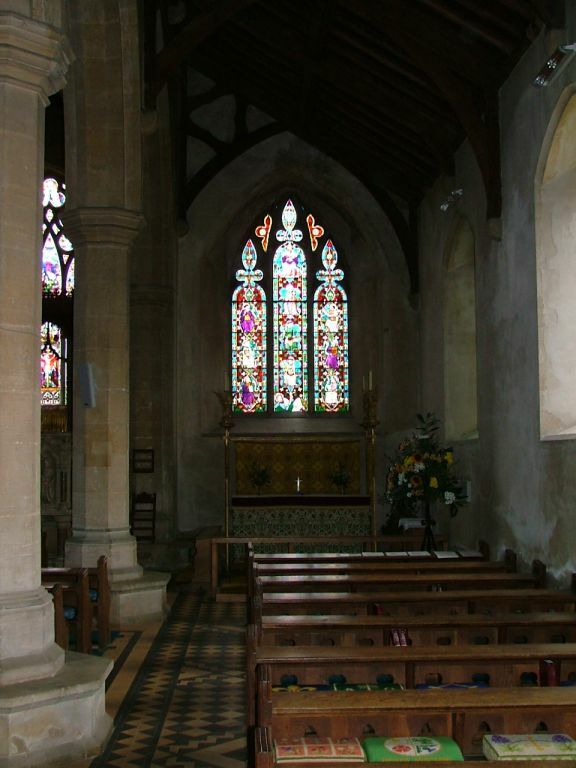 The tower too, remains in its original position to show that the north aisle was the site of the original church. But today the building is greatly enlarged. 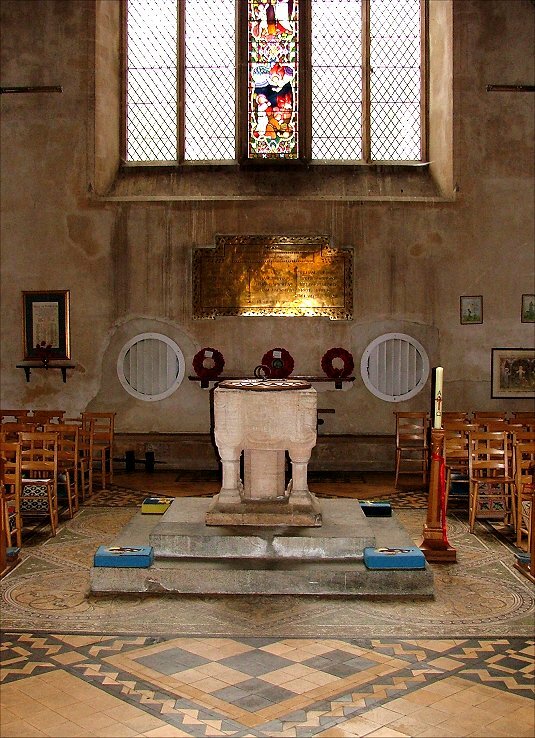 You step inside to see a Norman font set on a high pedestal in a sea of spectacular glazed 19th century tiles, a juxtaposition which depicts, in essence, the journey that this building has made over the centuries. 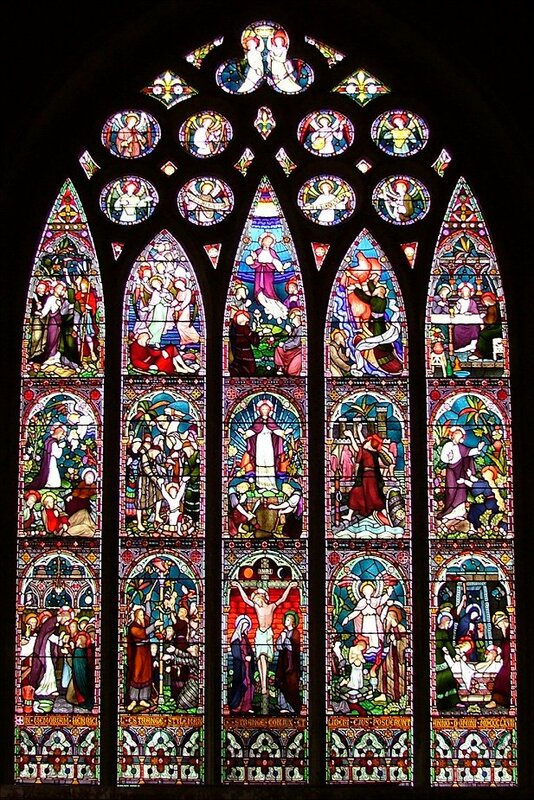 Preedy's east window tracery is spectacular, but a major 19th century restoration is made or broken by its glass, and that at St Mary is consistently good. 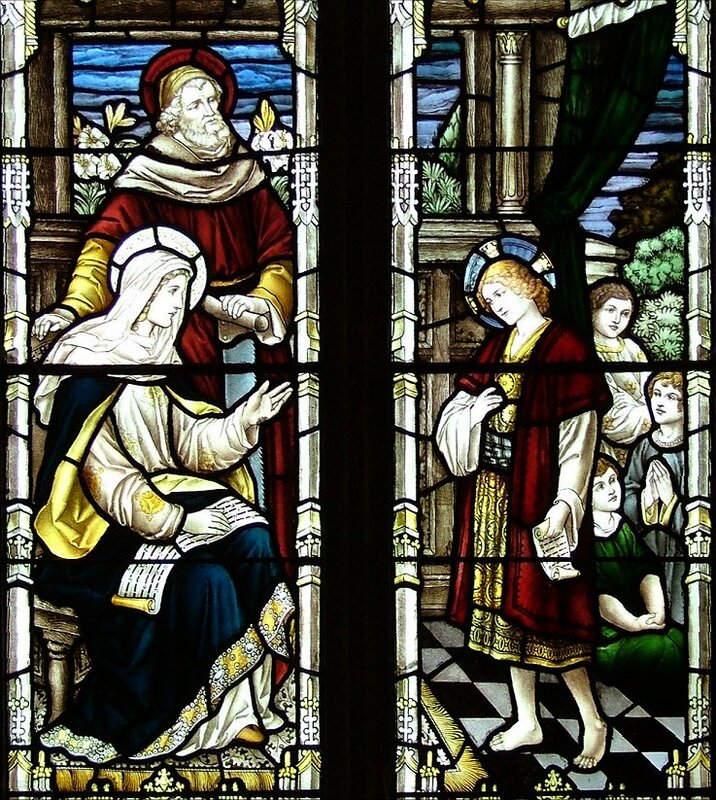 There is a fine tree of Jesse, effectively Christ's family tree, an articulate and unusual expression of 19th century theology. 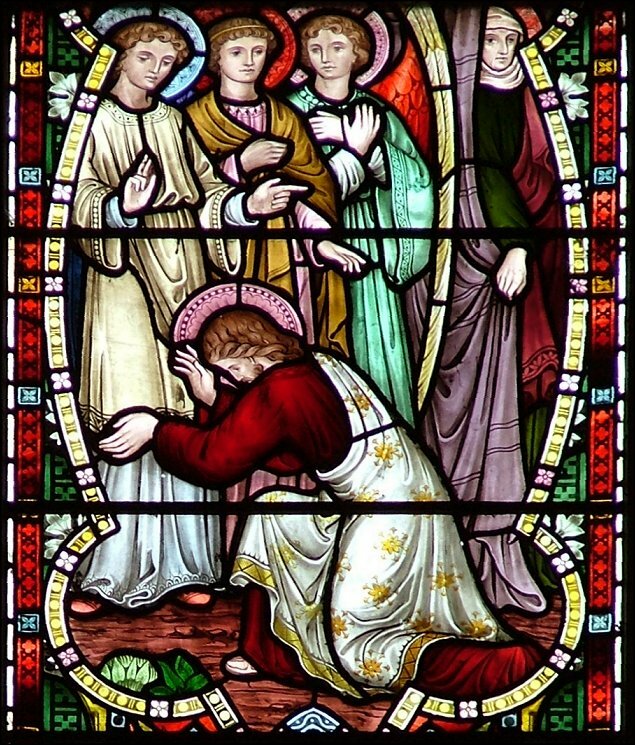 There are some very good Old Testament scenes: Abraham greeting the three angels while his wife Sarah watches from behind the door is haunting. In an adjacent scene, an angel arrives in the nick of time to save Isaac from his father's sacrificial knife, in what must be the most terrifying story in the entire Bible. 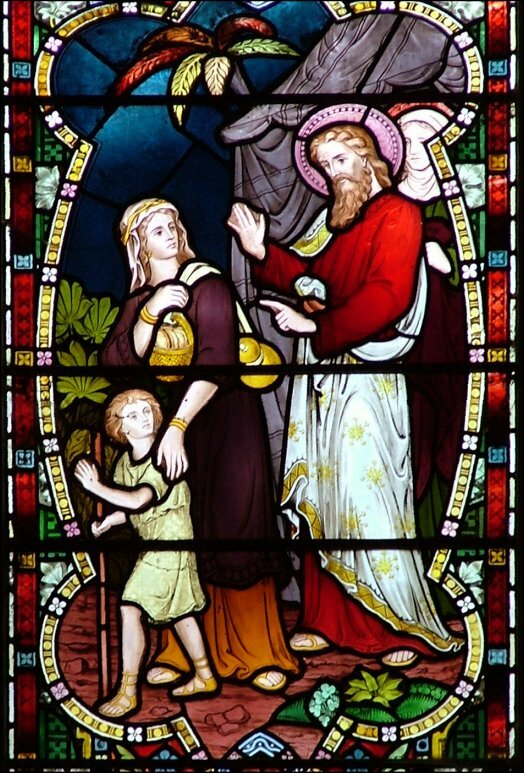 A third shows Abraham sending Hagar into exile with her son Ishmael. 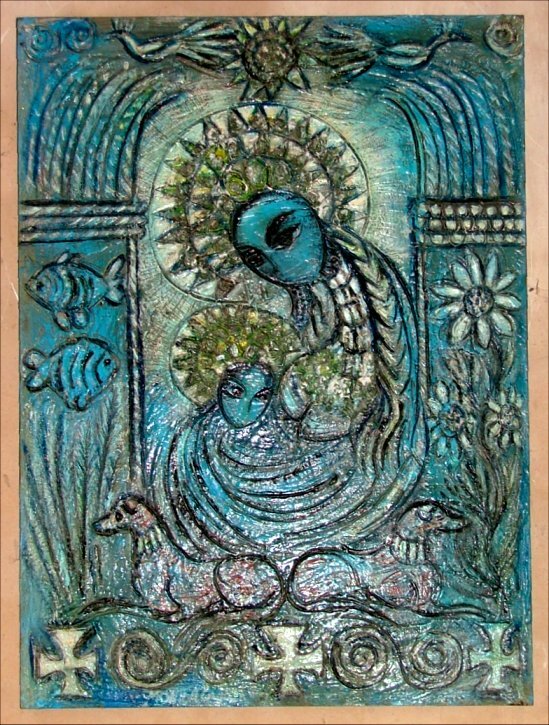 Ishmael, of course, is Abraham's first born son, but was disinherited by the birth of Isaac. 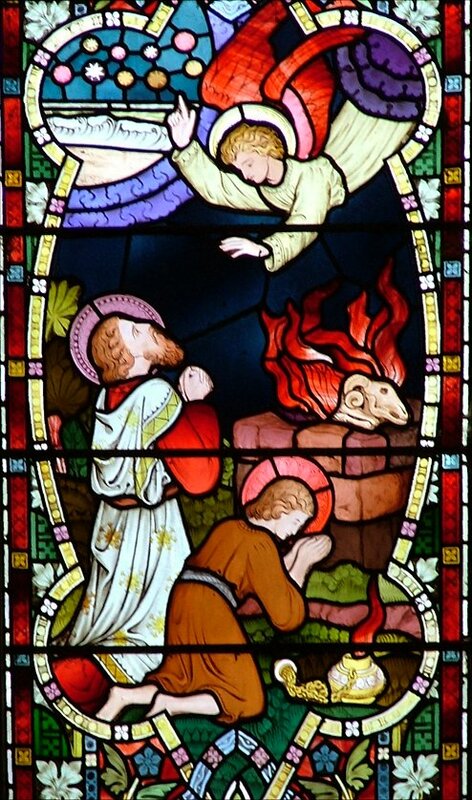 This is a fairly unusual scene in 19th century glass, but is particularly pertinent in the present troubled times; Ishmael is considered by Muslims to be an ancestor of the prophet Mohammed, and as such is a venerated patriarch of Islam. Sarah watches from the door with understandably mixed feelings. 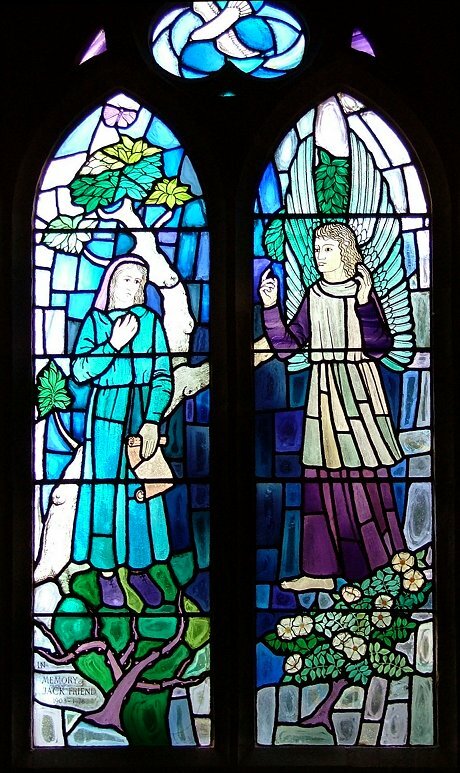 The modern Annunciation is a little insipid for my tastes, but provides a nice counterpoint to the richness of its Victorian neighbours. 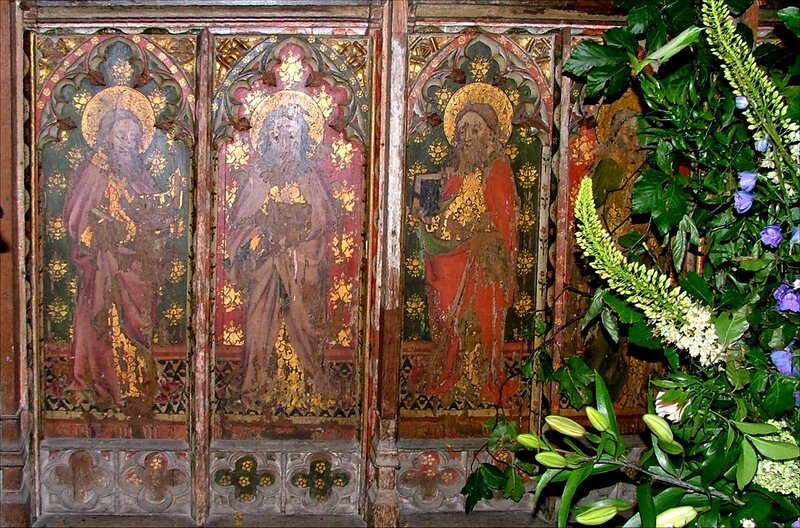 St Mary is not without is medieval survivals, including an excellent rood screen depicting the twelve apostles on its panels. 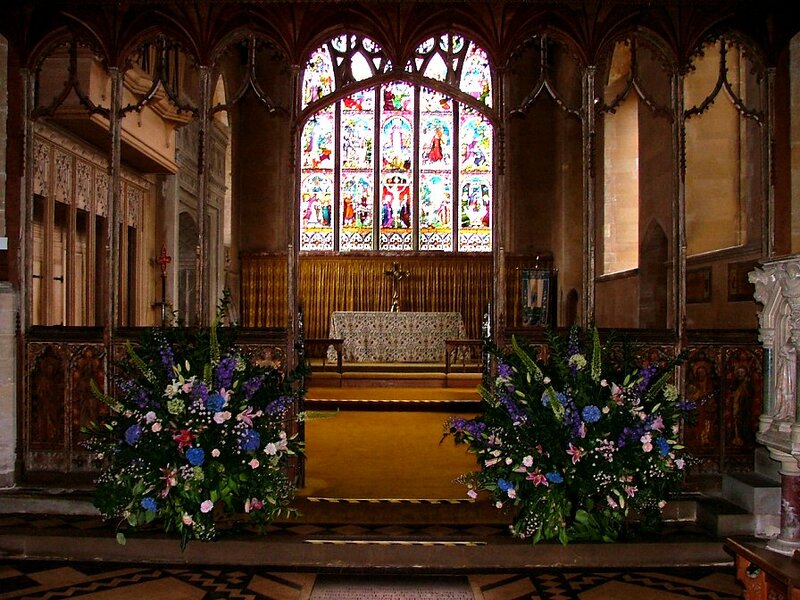 Unfortunately, we visited after a major society wedding, and it was beyond possiblity that we could have moved the simply enormous flower arrangements from in front of the screen and returned them safely in one piece. Though I did think about it. However, I will have to go back at some point, and perhaps the photographs I did take show it looking rather attractive after all. There are several good Le Strange memorials. 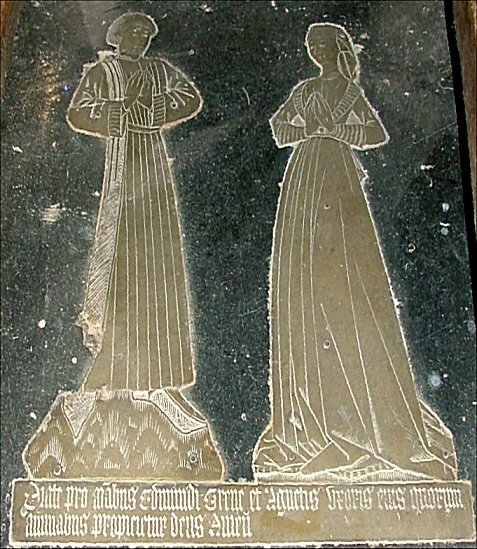 There is also a fine 1480 double figure brass of Edmund Grene and his wife under the old Stuart communion table, itself now in use for books and magazines, in the far south-west corner. But best of all, I loved the feel of 19th century confidence, which has not become dour with age, but feels vibrant, coherent and rather magnificent. 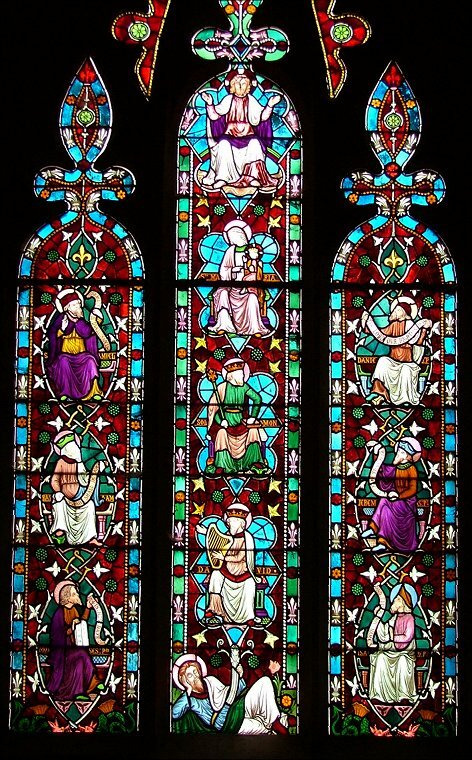 This super church is full of colour and light, and a sense of being loved and used.